A translated version of the best-selling Korean children’s novel “Leafie, a Hen into the Wild” has won a literary honor in Poland, according to Korea Literature Translation Institute. 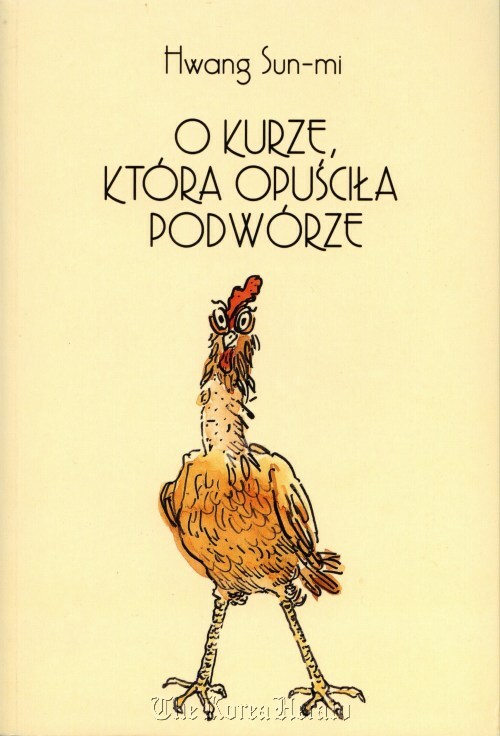 The book, about the adventures of a mother hen who tries to escape the coop with her duckling son, has been named the “best book of spring 2012” (Najlepsza ksika na wiosne 2012) by Granice.pl, a renowned literary organization in Poland. According to Korea Literature Translation Institute, it is the first time a Korean work of fiction has received the honor in the European country. The novel, written by Korean children’s writer Hwang Sun-mi, was translated and published in Poland in February of this year. It was Professor Choi Sung-eun of Hankuk University of Foreign Studies who translated the text into Polish with Edyta Matejko-Paszkowska, the book’s Polish publisher. The novel was initially released in Korea in 2000, and sold more than 1 million copies. Its animated film adaptation, which was released last year, was a record-breaking box office triumph ― drawing more than 2 million viewers.